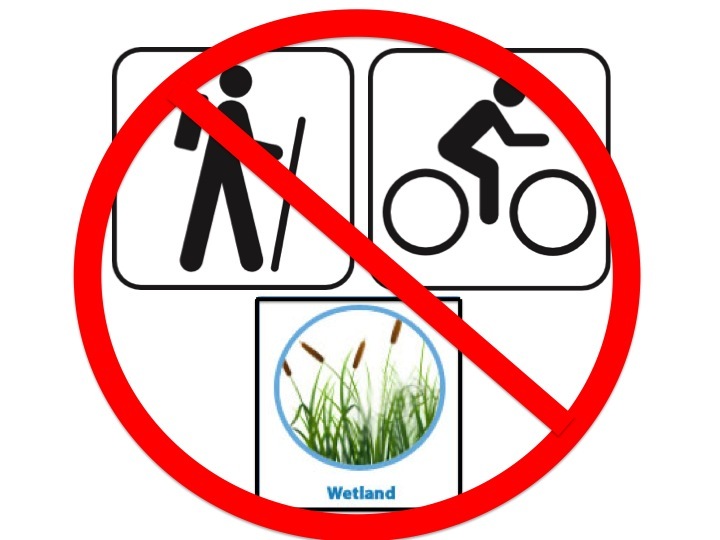 Supervisor Gonser’s true views have come out on Safety Paths, Trails, Bike Paths, Wetland Protection. His views are contrary to our Township motto “Curamus Terram” – “We care for the land”. One of the citizens asked what is the difference between the Republican Establishment and the Tea Party Republican. During that discussion, one of the participants asked “What is this Agenda 21 issue all about?” He wanted someone to explain what it was and why many Tea Party Republicans have brought that up as an issue. Oakland Township’s Ordinances 102 ( the nuisance ordinance) and 103 ( the performance standards Ordinance ) are clearly Agenda 21. A lot of this is Agenda 21 because if you look at the overriding umbrella of Agenda 21 it is to eliminate the automobile, to eliminate all sorts of motorized transportation except mass transit and have heavy emphasis on bicycles. John Markel, one of the Zoning Board of Appeals appointees of Supervisor Gonser, was present at that meeting. John commented that while he was driving to work on a snowy day, realized that the safety trails are only used ‘half of the year’. He went on to indicate that he did not think it made sense to put in that costly infrastructure and only use it 6 months of the year. He agreed that it made sense in the Carolinas, but not here. John was personally recommended by Supervisor Gonser for the Zoning Board of Appeals. His appointment clearly indicates the direction that Gonser intends to take our Township. Although several citizens have tried to get Supervisor Gonser to explain his position on Agenda 21, this is the first time that he has verbalized his thoughts on how he believes the UN Global Conspiracy has influenced our Township’s ordinances. So what really is Agenda 21? In 1992 the United Nations approved a document called Agenda 21. It is a non-binding agreement signed by 178 countries. It promotes sustainable development that simultaneously promotes economic growth, improved quality of life, and environmental protection. President George H.W. Bush was among the 108 world leaders present at the UN conference when the document was adopted. A copy of the document is attached at the bottom of this posting. Our Beautiful Township has benefited from a dedication to the protection of forests, wetlands, waterways and natural features. Many of our environmental protection ordinances predate UN Agenda 21 by many years. Now we have elected a Township Supervisor who believes our past practices are part of what the Tea Party believes is a global conspiracy. Oakland Township will not benefit from far right wing reaction to an imaginary global conspiracy. I was an Oakland Township Planning Commission member for 26 years until 2008, and Chair for a number of years. During all those years, I had never heard of “Agenda 21”, but listened to many citizens say “curamus terrum” – “we care for our land” when they provided input that guided our recommendations. Any linkage that our Supervisor and the other extremist right-wing members of our current Board think exists between this obscure agreement at the UN, only exists in the minds of those with an extreme Tea Party ideology. To get a better idea of what the extreme conservatives in the Tea Party believe will be the outcome of the UN Agenda 21 initiatives, please watch a video that Glenn Beck, a famous conservative, has produced to promote his book “Agenda 21” . Why is this important to the Citizens of Oakland Township? Our Community has historically been a leader in preserving land, supporting Paths and Trails and many things that other communities have come to envy our Township for possessing. Our citizens have supported these initiatives through various millages to enhance our community. Now we have a Supervisor and Board members, our decision makers, who clearly do not support the things Oakland Township has historically stood for. The citizens of Oakland Township need to recognize that Washington is not the only place where the extremism of Tea Party Republicans exist – They ARE the leaders in OUR Township and will be making decisions that may significantly change the character of our Township! Please get involved! Begin by looking at the many things that our Board has done over the past year that have been documented on this website.